Heather's magic is not only entertaining, it is empowering. Heather uses her superlative skills as an Entertainer, Motivational Speaker, and Mindfulness Trainer, to ignite others and remind them of their immeasurable power. "If you are looking for high impact attendee experience and to deepen brand recognition, you've found one of the best." 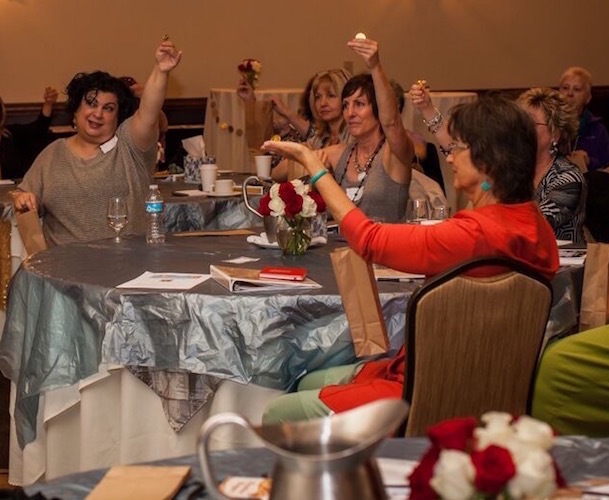 Heather creates a Customized Magical Immersion Experience with her Stage Magic, Close-up Magic, and Magical Give-aways. We are passing beyond the Information Age, into the Age of EXPERIENCE. Magic is REAL, and it's YOU. Below you can view Heather's World Class Contact Juggling Act. It has been described as “A luminous, enchanting act; right out of Cirque Du Soleil”. If you work with an organization that would like to learn how MINDFULNESS can not only SAVE you money, but MAKE you money as well as improve Health, Productivity, Resilience and Communication, please watch this Speaker / Trainer Video.